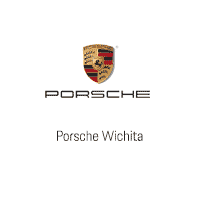 Came in and looked at Porsche 911 with Rich Kedra. This guy was very nice and friendly and certainly not pushy at all. He showed me the car and the brochures room. I really enjoy my time with Richard!! He is also very smart and a pleasure to be around! I will continue to visit Porsche and dream a little. I am really trying to purchase a new Macan which Rich said he would make me a great deal on!!! I cant wait to come and see him soon!! Thank you Rich!!! Met Tyler Griers at the lot. Took a look at Macans and Cayennes. Tyler a former Veteran was a great guy and answered all of our questions!! Anyone that has served the country and wants to work with a guy that is honest, true, and stands for what he believes in see Tyler. Tyler thank you for your service and we will buy all of cars from you!!!! Great job sir!!!!!!! Nice staff and nice cars!